Santa Barbara has long been heralded with the perfect balance of outdoors glamor and vintage charm. With the same elevation and scenic scape as a French countryside, it makes sense why this resort lodging captures the best of the city’s nature. Say hello to El Capitan Canyon, nature lodging on the Southern California Coast. 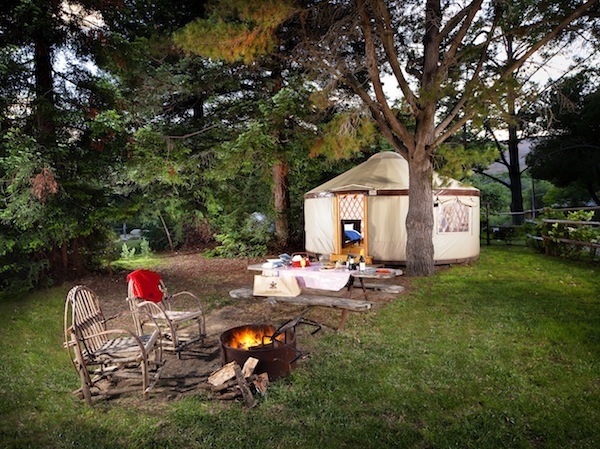 I know what you’re probably thinking: luxurious nature camping? Not likely. But check it out. It’s not your typical camping or resort experience—if I can even put those two words in the same sentence. 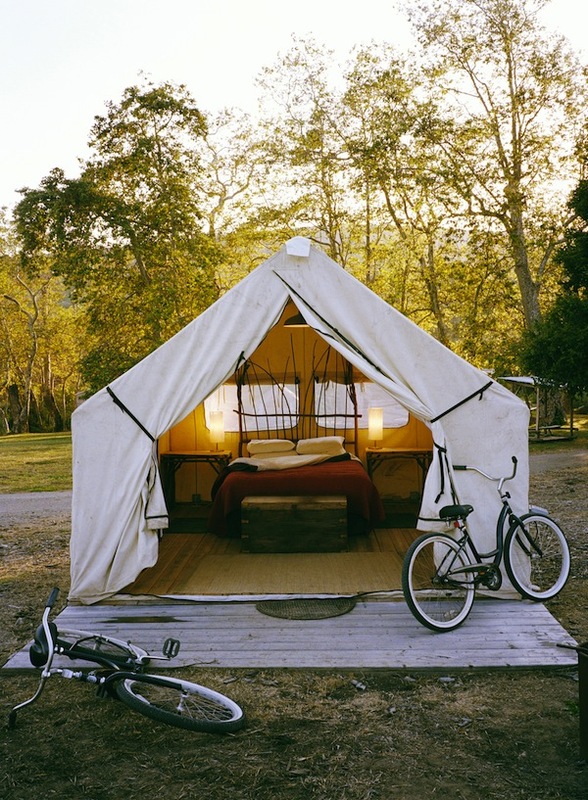 It’s, in essence, glamping. 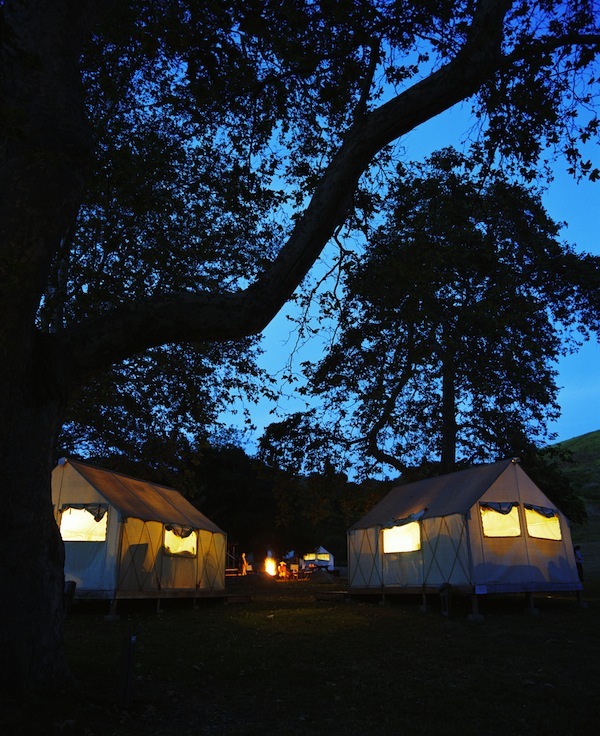 Glamorous camping situated 20 miles north of Santa Barbara with 300+acres along the Pacific coast, created solely with one thing in mind: complete relaxation. Enjoy services and amenities typically found in a traditional resort, yet its minimalism without deprivation…comfort without over-indulgence. Completely immerse yourself in the glories of nature without the overbearing manufactured hand of man. 2 Canyon logo Mugs (Unlimited Canyon Market drip coffee is provided with the use of your Canyon Logo Mugs! Offer valid through March 14th 2013. Sunday through Thursday only. Subject to availability. Not available holiday periods. Minimum stay requirements apply. Canyon Logo Throw Blanket, perfect for bundling up either beside the campfire or under the clear winter night sky for an amazing stargazing. $625 tax & gratuity not included. other cabin styles are also available. Offer valid through March 14th 2013. Barbecue Kit from our Canyon Market and Deli. Canyon S’mores Kits for dessert. Rates start at $165 tax not included. Offer extended through March 14th 2013. Subject to availability. Minimum stay requirements still apply. To learn more, visit www.elcapitancanyon.com.